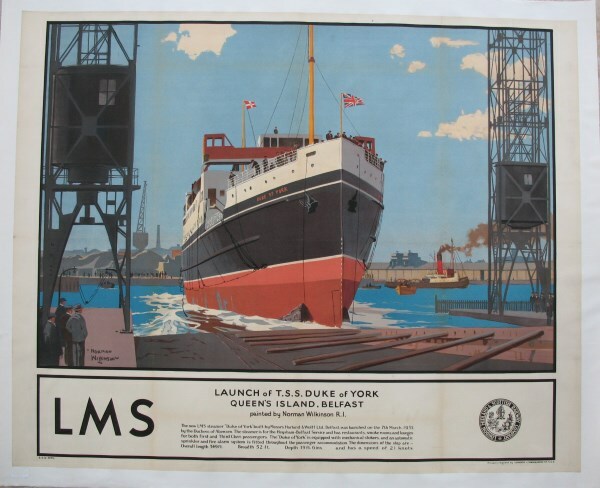 Lot 35 Q/R Poster 1935 LMS "Launch of T.S.S. Duke of York at Queen's Island, Belfast", by Norman Wilkinson. Fabulous painting of the launch of a great railway ship. Very good condition, professionally backed on linen, with minor old-fold discolouration.